Nine months ago, we published a piece about the imminent arrival of two accessories that could change the gaming market forever: PlayStation Move and Xbox Kinect. At the time, the devices had not yet hit stores and we could only speculate whether Sony or Microsoft would be able to steal casual gamers away from Nintendo. Now that both accessories have been in the hands of consumers, developers, and hackers for approximately six months, I believe it is safe to say that Kinect is the superior device. 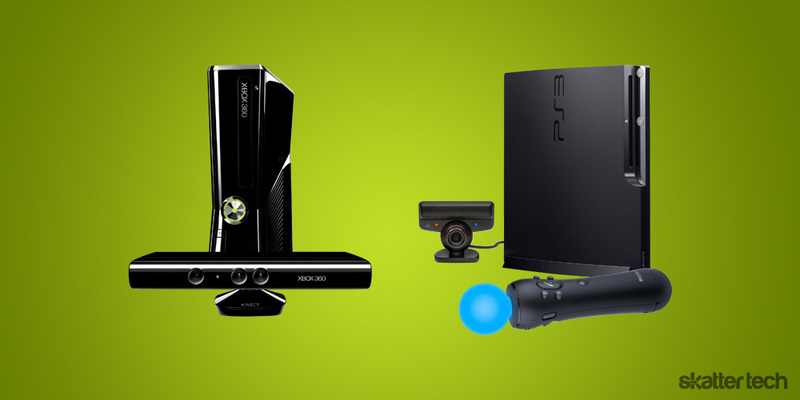 From a gaming standpoint, Kinect does what PlayStation Move fails to do — make gaming even more accessible. The Nintendo Wii has already proven that games can still be an enjoyable experience for those that did not grow up with the traditional controller. Both of these new accessories, from the respective companies, try to make the PlayStation 3 and Xbox 360 friendlier for casual gamers. However, the PlayStation Move and its lineup of games is too familiar to what Nintendo brought to the table almost three years ago. Yes, Move builds upon Nintendo’s accelerometer-based wand with exceptional one-to-one tracking via the PlayStation Eye and the Move’s light-emitting diode. Unfortunately, Sony does little to change the course and the gaming experience feels like it is just the Wii with better graphics. On the other hand, Kinect gets rid of controllers and magic wands completely; providing the best controller-free experience to date. Games require the use of the entire body to play rather than a wand determining the motion of your wrists or forearms. 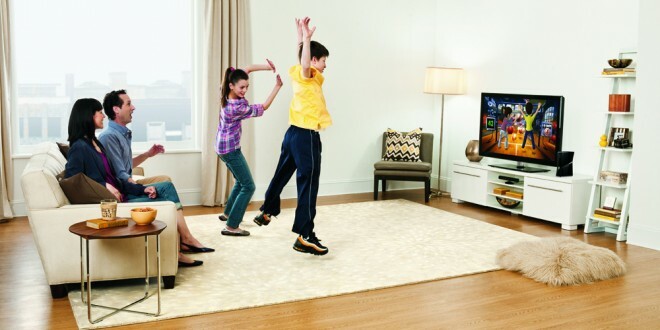 This makes Kinect a friendly device for anyone regardless of gaming experience. Gameplay is a lot more intuitive than anything else available. Rather than upgrading a competitor’s technology, the Kinect goes for a more revolutionary interpretation of “controller-free” gaming. Microsoft took a great risk and made a wise move, they deserve the easy win. Microsoft left the product open by design because they knew that limiting Kinect’s state of the art software would prevent users from discovering unique ways of augmenting their own reality. By giving the thumbs up to programmers, Microsoft only wants one thing to limit a user’s Kinect experience — their imagination. Because Microsoft has officially given the keys to the developmental castle to their ever-growing customer base, amazing real world applications are now just a download away. Although there are a ton of hacks and mods across the internet, the Augmented Reality Magic Mirror is a personal favorite that demonstrates the capabilities of a great product if users are given a chance to experiment. Tobias Blum and his team of researchers at the Technical University of Munich have been able to store a CT dataset, perform an augmented reality overlay, which then allows one to see their own skeleton in real-time. Simply put, Blum is able to use the Kinect as an x-ray window into a user’s body. Although this is still in very early stages, the potential for education and medical use is potentially limitless. Blum’s “magic mirror” is only a small sample of what the Kinect can do outside of the world of video games. In fact, a team of doctors at Sunnybrook Hospital have recently started using the Kinect to improve patient care. Due to its controller-free nature, doctors have been able to zoom in and out or freeze important medical photos and documents saving precious time. In a field where time is everything, the Kinect allows doctors to do their jobs better, and arguably, increase their chances at saving lives. With applications like these, Kinect is quickly becoming so much more than just a video game accessory. It may have been designed for entertainment, but it is now lending its powerful abilities to help make the world a better place — or if anything, a bit cooler. And if I am going to spend about a hundred bucks on Kinect or Move, I would rather buy a camera that can let me see inside my own body rather than a light changing wand. Although things are still relatively early, Kinect has clearly shown that it is a much more complete package than its Sony counterpart. I can not say for certain that Kinect has pushed the Xbox 360 to the front of the console wars, but it definitely won this crucial battle. Yeah, the kinect is cool and innovative and it has limitless potential for real world applications. Unfortunately as a gaming device it’s hardly worth writing about. There is no current or announced games that make me want to take the plunge and purchase one. There is nothing that the kinect has that’s on par with playing killzone 3 in my 110″ theater using move and the sharpshooter gun. It truly is incredible. I’ll be the first to buy a kinect when M$ releases its first must-have game. Until then, the move is tops imho. Also, as a physician who works in the operating room, I can guarantee that no lives are being saved with the kinect. Adding convenience for the surgeon, yes. Saving lives, no. “A year later”….Kinect came out in November 2010, just a few months ago. Also, there’s something like it on the PlayStation 3 called the PlayStation Eye, which is the newest version of the “Eye Toy” for the PlayStation 2. Kinect is not that original you know. Actually the eyetoy had controller free games on the PS2. I don’t know about the rest of you, but I much better enjoy the tactile experience of having something in my hand. I feel stupid waving my arms and jumping around. Are you overweight cuz only a overweight person could say that doing exercise is stupid or unhealthy for the body. I believe that kinect provides all the mental and physical necessities for your health. Wait, is Kinekt meant to be gaming with? If not, then yes, it is better than move, so is a BigMac. Maybe Kinect is great maybe it isnt. But like ive always said. “I’m a gamer and im not ready for motion gaming. I still want my controller” Imagine playing something like Call of Duty or Project Gotham Racing or Resident Evil on Kinect. Imagine how stupid you would look playing that. I hope to god this isnt the future. And if it is unlike nintendo we should at least get the option of using a good ol fashioned controller. The ps move with sharpshooter gun looks and plays better than your kinect’s finger gun. How do you plan on moving, shooting, or reloading? The only possibility of a kinect shooter is on-rails. I’ll take my killzone 3 and soon SOCOM 4 over that any day. “A Year Later…” are you on crack? Kinect was released in November 2010? Is it better than Move? Perhaps! Is it better than Move at gaming! Most certainly not. I know this thread is out of date, looking back I can honestly admit that although the move is a upgraded version of the wii, it performs well beyond kinect. It has the usual minigame style for families, while enhancing shooters such as killzone, and resident evil. Resident evil was immensely improved with faster aiming. for sport games, having something in your hands allows you to control the game better.